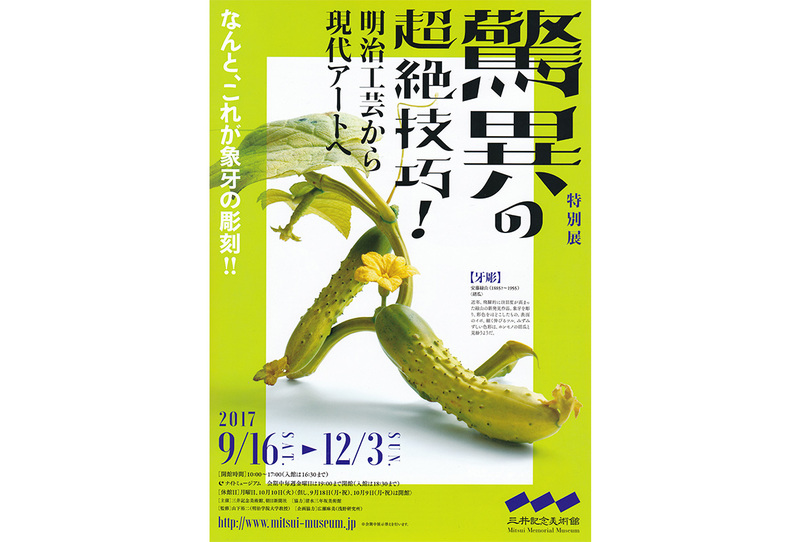 Special exhibition to be held at the Mitsui Memorial Art Museum in Nihonbashi, Tokyo “A technique of transcendence of wonder! – From Meiji Craft to Contemporary Art – “” Koizuka “and” Shikami “will be sent. Starting in Tokyo, I plan to visit various places to Gifu / Yamaguchi / Toyama / Osaka.